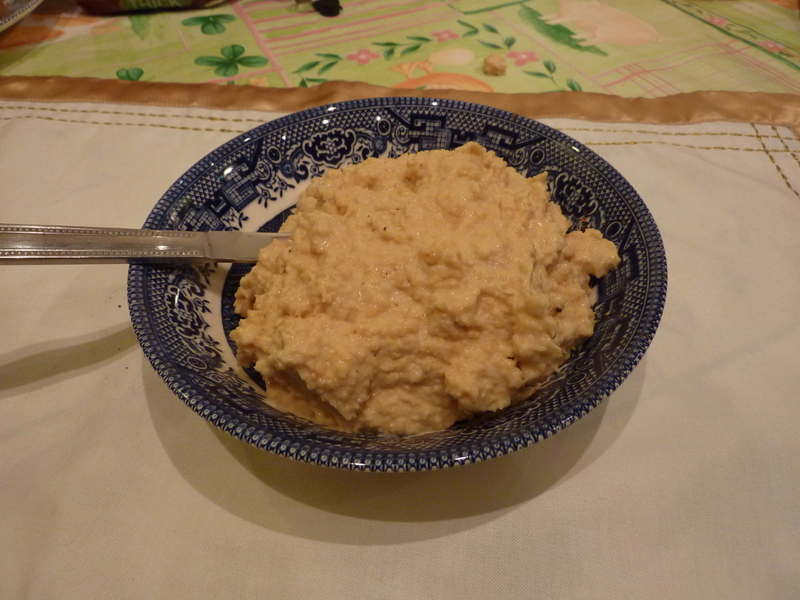 Houmous is a wonderful concoction. It’s a beautiful paupers’ sandwich filling, and an elegant starter; a glimpse of the exotic in the kitchen, and really easy to create. 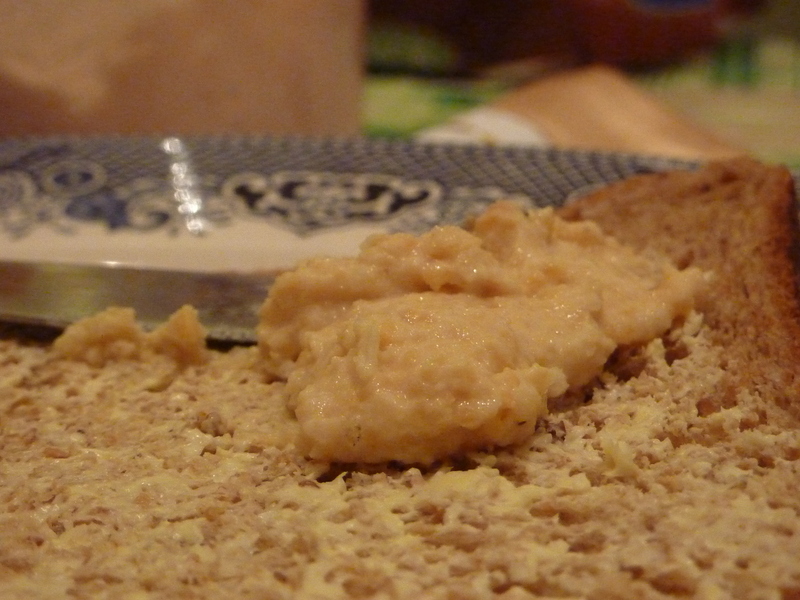 One of the key ingredients in houmous, if made properly, is Tahini, a sesame seed paste. I rarely buy Tahini, and often use olives or sundried tomatoes instead. However, this time I have decided to experiment with Tahini, and see what uses I can find for this versatile ingredient. Keep checking back, or subscribe, to find out what you can create! So, take a food processor, and put the ingredients in. If you’re not sure how much to use, only use a little garlic, lemon juice and tahini, then taste it and adjust until none of the flavours are dominant, but all of them are present. 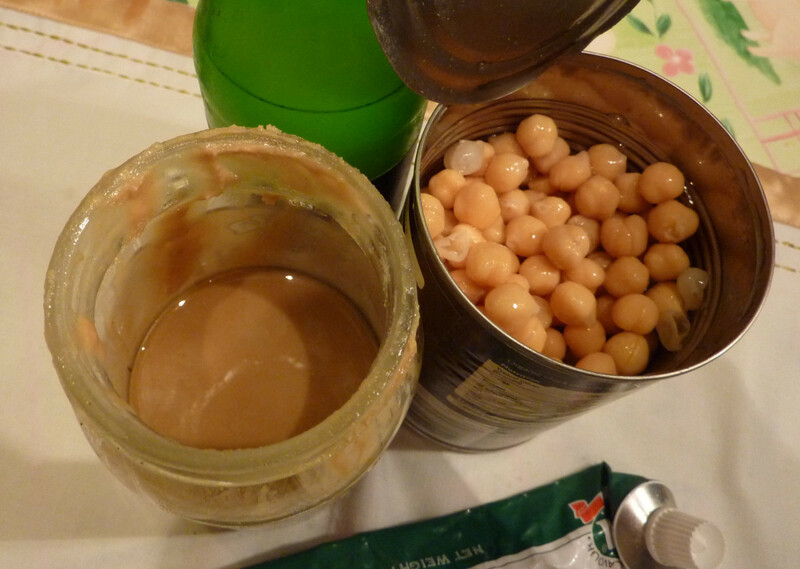 I often find that little bits of chickpeas get stuck to the sides, and it doesn’t become smooth. If this happens, add a little water and push the mixture back towards the blades. Repeat if necessary. Now, you know you want to. Dip your little finger in, and taste. The texture isn’t quite smooth, like cold honey. The garlic and lemon juice bite through the velvet of the chickpeas and tahini to create something so simple and so tasty. Next time, try varying the proportions, or adding an extra ingredient. Create a dip that is truly your own! If necessary scrape ingredients off the sides, add a little water and re-blend. I always like to add a little cumin and cayenne pepper to give the houmous a little bit of a kick. I'd never thought of that, I'll have to give it a try. Variety is the spice of life!